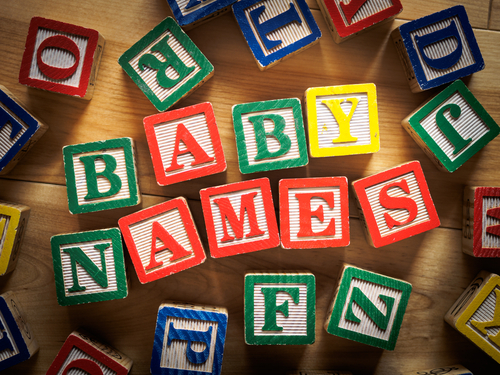 While many expecting parents choose a baby name from a baby name book, book lovers have been known to choose the name of a beloved literary character. Charlotte: The wise, beloved spider of E.B. White’s Charlotte’s Web. Estella: The icy object of affection of Charles Dickens’ Great Expectations. Jane: The brave heroine of Charlotte Bronte’s Jane Eyre. Josephine: The independent, spirited sister with big dreams of Louisa May Alcott’s Little Women. Catherine: The wildly selfish love interest of Emily Bronte’s Wuthering Heights. Annika: Friend and neighbor of the wildly adventurous Pippi Longstocking in Astrid Lindgren’s novel of the same name. Mayella: Wrongful accuser of Harper Lee’s To Kill a Mockingbird. Elinor: The sensible sister of Jane Austen’s Sense and Sensibility. Scarlett: The self-centered Southern belle of Margaret Mitchell’s Gone With the Wind. Heathcliff: Heartsore main character of Emily Bronte’s Wuthering Heights. Amory: The mildly egocentric protagonist of F. Scott Fitzgerald’s This Side of Paradise. Holden: The resentful, depressed teenage protagonist of J.D. Salinger’s The Catcher in the Rye. Pip: The passive, obsessive main character of Charles Dickens’ Great Expectations. Rhett: The rogue antagonist of Margaret Mitchell’s Gone With the Wind. Atticus: The moral widowed attorney of Harper Lee’s To Kill a Mockingbird. Bennet: The last name of the struggling family in Jane Austen’s Pride and Prejudice. Earnest: Name assumed by title character Jack Worthing in Oscar Wilde’s The Importance of Being Earnest. Oliver: Orphaned protagonist of Charles Dickens’ Oliver Twist. Sawyer: Last name of the free-spirited main character of Mark Twain’s The Adventures of Tom Sawyer. Scout: The strong-willed tomboy of Harper Lee’s To Kill a Mockingbird.